'You will be in safe hands at the Artful Dog Studio. Anna has been a professional full time photographer for over 17 years, winning many awards for her craft and is committed to delivering to you an exceptional service and beautiful portraits of your Best Friend. 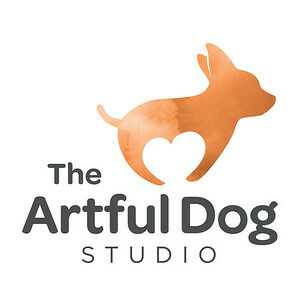 The Artful Dog Studio is fun, creative, award winning, experienced, patient; above all, we are just mad about dogs! We are also based in Farnham, Surrey – our studio is situated in the grounds of Waverley Abbey, an English Heritage site with stunning doggie walks right on our doorstep. It’s not easy photographing dogs but we have a method and it works every time! Every dog is different and our aim is to capture your dog’s personality – it’s what we do best and what we have now become famous for! Our clients say they are amazed at what we can produce – we have spent many hours training ourselves to work with dogs in a studio setting – some people say we are the dog whisperers of photography!